For us it’s essential that our athletes when training are having fun, balancing triathlon with the day to day life while defeating their limits, and growing in the sport of triathlon as fast and strong while reaching goals they never thought possible. 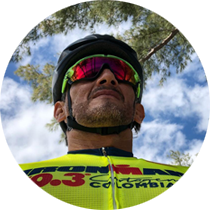 Professional triathlete for 16 years in the Olympic cycle, qualified for IronMan Kona, Team Usa 2014 World Championship and a total of 36 years in competitive sport and coach for 15 years of amateur and professional athletes. Coach level 3 ETU European Thriathlon Union Coach Level 2 Pan American triathlon Confederation USAT, USA TRIATHLON Memphis, Tennessee COACHING CLINIC LEVEL I NEWTON RUNNING Boulder, Colorado RUNNING CLINIC PANAMERICAN TRIATHLON CONFEDERATION – COLOMBIAN TRIATHLON FEDERATION Cali, Colombia. CERTIFICATION COC, OLYMPIC SOLIDARITY, COACH LEVEL II PATCO TRIATHLON PANAMERICAN TRIATHLON CONFEDERATION- CANADIAN OLYMPIC COMMITTEE Edmonton, Canada. LEVEL I CERTIFICATION TRAINING PASO PATCO Triathlon – ITU NATIONAL SCHOOL OF SPORT – INSTITUTE OF RECREATION AND SPORT Bogota, D. C. Colombia SEMINAR OF SPORTS ADDRESS AND MANAGEMENT INSTITUTE OF RECREATION AND SPORT Bogota, D. C. Colombia CERTIFICATION IN SPORTS CULTURE POLAR Bogota, D. C. Colombia CERTIFICATION INCYCLING BY POLAR AUTONOMUS UNIVERSITY OF MADRID – SPANISH OLYMPIC COMMITTEE Madrid, Spain. 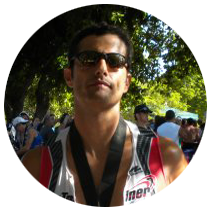 Superior Coach Triathlon High Performance Level 3 ETU – ITU.. I started as a coach for more than 20 years in the sport of swimming, teaching children; It has been very rewarding to see how they learn quickly and how they thank you. 9 years ago I joined TT as a sportsman and trainer by the hand of Edwin Vargas, my experience as a coach was very different from the previous one, since I lead adults, where you are from the person who has never done sport until the one He was a professional in some sports discipline, this experience immensely impassions me to see how they are dedicated and strive to achieve their goals. My experience as an athlete in TT has left me many joys under the direction of our head coach Edwin Vargas who has trained and supported me to finish the different competitions I have done from sprints up to 70.3. I am very grateful to God for giving me the opportunity to work alongside Edwin Vargas and to be a TT Coach. Ever wonder what a triathlon is about? Join us for a Swim , Bike or Run workouts and get a closer look to this amazing sport. Send us your name and we will invite you to one of our training sessions!